#MEDIA: New data presented at #ACC19 and published in @NEJM on #AFib patients. 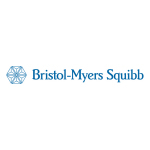 PRINCETON, N.J. & NEW YORK--(BUSINESS WIRE)--The Bristol-Myers Squibb-Pfizer Alliance today announced results from the Phase 4 AUGUSTUS trial evaluating Eliquis ® (apixaban) versus vitamin K antagonists (VKAs) in patients with non-valvular atrial fibrillation (NVAF) and recent acute coronary syndrome (ACS) and/or undergoing percutaneous coronary intervention (PCI). Results show that in patients receiving a P2Y12 inhibitor with or without aspirin (antiplatelet therapies), the proportion of patients with major or clinically relevant non-major (CRNM) bleeding at six months was significantly lower for those treated with Eliquis compared to those treated with a VKA (10.5% vs. 14.7%, respectively; hazard ratio [HR]: 0.69, 95% confidence interval [CI]: 0.58-0.81; p-superiority<0.001). These data are featured as a late-breaking oral presentation at the American College of Cardiology’s (ACC) 68th Annual Scientific Session 2019 in New Orleans, LA (Abstract 405-08) and simultaneously published in the New England Journal of Medicine. Whether or not Eliquis 5mg* twice daily is non-inferior or superior to VKAs for the outcome of major or CRNM bleeding, as defined by the International Society on Thrombosis and Haemostasis (ISTH), in patients with NVAF and recent ACS and/or undergoing PCI with planned concomitant antiplatelet therapy (a P2Y12 inhibitor with or without low-dose aspirin). Whether or not single antiplatelet therapy with a P2Y12 inhibitor is superior to dual antiplatelet therapy with a P2Y12 inhibitor and low-dose aspirin for the outcome of ISTH major or CRNM bleeding in patients with NVAF and recent ACS and/or undergoing PCI and planned concomitant anticoagulant therapy (either Eliquis 5mg* twice daily or VKA). *2.5mg twice daily if patients met two or more of the following dose-reduction criteria: age ≥ 80 years, weight ≤ 60 kg or creatinine ≥ 1.5mg/dL (133 micromol/L). Independent of the Eliquis versus VKA comparison, results also showed that in patients receiving a P2Y12 inhibitor and an anticoagulant, the proportion of patients with major or CRNM bleeding at six months was significantly higher for those receiving aspirin compared to those receiving placebo (16.1% vs. 9.0%, respectively; HR: 1.89, 95% CI: 1.59-2.24; p<0.001). The investigators also analyzed the pre-defined secondary composite outcomes of death or hospitalization and death or ischemic events (including myocardial infarction, stroke, definite or probable stent thrombosis or urgent revascularization). At six months, patients receiving a P2Y12 inhibitor with or without aspirin who were treated with Eliquis had lower rates of death or hospitalization (23.5% vs. 27.4%, respectively; HR: 0.83, 95% CI: 0.74-0.93; p=0.002) and similar rates of death or ischemic events (6.7% vs. 7.1%, respectively; HR: 0.93, 95% CI: 0.75-1.16; p=NS) compared to those assigned to VKA. Patients receiving a P2Y12 inhibitor and an anticoagulant who were treated with aspirin had similar rates of death or hospitalization (26.2% vs. 24.7%, respectively; HR: 1.08, 95% CI: 0.96-1.21; p=NS) and similar rates of death or ischemic events (6.5% vs. 7.3%, respectively; HR: 0.89, 95% CI: 0.71-1.11) compared to those assigned to placebo. Atrial fibrillation is the most common arrhythmia in the world, affecting an estimated 33 million people in 2010.2 It is estimated that approximately 20-to-30 percent of people with atrial fibrillation also have concomitant coronary artery disease,3,4 which may result in ACS or require PCI. Additionally, five-to-ten percent of patients who undergo PCI have atrial fibrillation.5,6,7,8 While oral anticoagulants and dual antiplatelet therapy help reduce the risk of stroke and recurrent ischemic events, respectively, the combination leads to an increased risk of bleeding. Therefore, additional research has been needed to help inform antithrombotic regimens available for these high-risk patients. AUGUSTUS is an international, multicenter, open-label, randomized controlled trial with a two-by-two factorial design to compare Eliquis (apixaban) with vitamin K antagonists (VKAs) and aspirin with placebo in 4,614 patients with non-valvular atrial fibrillation (NVAF) and recent acute coronary syndrome (ACS) and/or undergoing percutaneous coronary intervention (PCI), and are receiving a P2Y12 inhibitor for at least six months. The treatment regimen comparing Eliquis with VKA was open-label; however, the regimen comparing aspirin with aspirin placebo was double blind. Patients were evaluated for eligibility during their ACS and/or PCI hospitalization. 37.3 percent of patients included in the study had ACS undergoing PCI, 23.9 percent of patients had medically-managed ACS and 38.8 percent of patients underwent elective PCI. The primary outcome is the composite of major or clinically relevant non-major (CRNM) bleeding defined by the International Society on Thrombosis and Haemostasis (ISTH).9 A key secondary outcome is the composite of death or first hospitalization. Other secondary outcomes include the composite of death or ischemic events (myocardial infarction, stroke, definite or probable stent thrombosis or urgent revascularization). AUGUSTUS was designed to be a safety study and did not include a primary efficacy endpoint. Atrial fibrillation (AF) is the most common type of arrhythmia, or irregular heartbeat. Nonvalvular atrial fibrillation (NVAF) refers to cases in which the AF occurs in the absence of rheumatic mitral valve disease, a prosthetic heart valve, or mitral valve repair. It was estimated that in 2014, 6.4 million people in the U.S. and in 2010, over six million individuals in Europe, had AF. The lifetime risk of AF is estimated to be approximately 25 percent for individuals 40 years of age or older. One of the most serious medical concerns for individuals with AF is the increased risk of stroke, which is five times higher in people with AF than those without AF. Additionally, AF-related strokes tend to be more severe than other strokes with an associated 30-day mortality rate of 24 percent and a 50 percent likelihood of death within one year. Acute coronary syndrome (ACS) is a term used to describe situations in which the blood supplied to the heart muscle is suddenly blocked, and includes myocardial infarction (MI), also known as a heart attack, and unstable angina (sudden, severe chest pain that typically occurs when a person is at rest). ACS affects an estimated 1.4 million people in the U.S. and an estimated 1.38 million people in Europe. ACS is a subcategory of coronary artery disease (CAD), the most common type of cardiovascular disease. Cardiovascular diseases are the number-one cause of death worldwide. According to the World Health Organization, CAD alone resulted in 7.4 million deaths during 2012. Percutaneous coronary intervention (PCI), also known as coronary angioplasty, is a procedure used to open blocked or narrowed coronary arteries. Angioplasty also is used as an emergency procedure during a heart attack. According to the Centers for Disease Control and Prevention, there are approximately 500,000 PCIs performed annually in the U.S. alone. Eliquis (apixaban) is an oral selective Factor Xa inhibitor. By inhibiting Factor Xa, a key blood clotting protein, Eliquis decreases thrombin generation and blood clot formation. Eliquis is approved for multiple indications in the U.S. based on efficacy and safety data from multiple Phase 3 clinical trials. Eliquis is a prescription medicine indicated to reduce the risk of stroke and systemic embolism in patients with nonvalvular atrial fibrillation (NVAF); for the prophylaxis of deep vein thrombosis (DVT), which may lead to pulmonary embolism (PE), in patients who have undergone hip or knee replacement surgery; for the treatment of DVT and PE; and to reduce the risk of recurrent DVT and PE, following initial therapy. Premature discontinuation of any oral anticoagulant, including ELIQUIS, increases the risk of thrombotic events. If anticoagulation with ELIQUIS is discontinued for a reason other than pathological bleeding or completion of a course of therapy, consider coverage with another anticoagulant. Consider the benefits and risks before neuraxial intervention in patients anticoagulated or to be anticoagulated. Increased Risk of Thrombotic Events after Premature Discontinuation: Premature discontinuation of any oral anticoagulant, including ELIQUIS, in the absence of adequate alternative anticoagulation increases the risk of thrombotic events. An increased rate of stroke was observed during the transition from ELIQUIS to warfarin in clinical trials in atrial fibrillation patients. If ELIQUIS is discontinued for a reason other than pathological bleeding or completion of a course of therapy, consider coverage with another anticoagulant. Bleeding Risk: ELIQUIS increases the risk of bleeding and can cause serious, potentially fatal, bleeding. Concomitant use of drugs affecting hemostasis increases the risk of bleeding, including aspirin and other antiplatelet agents, other anticoagulants, heparin, thrombolytic agents, SSRIs, SNRIs, and NSAIDs. Advise patients of signs and symptoms of blood loss and to report them immediately or go to an emergency room. Discontinue ELIQUIS in patients with active pathological hemorrhage. The anticoagulant effect of apixaban can be expected to persist for at least 24 hours after the last dose (i.e., about two half-lives). An agent to reverse the anti-factor Xa activity of apixaban is available. Please visit www.andexxa.com for more information on availability of a reversal agent. Spinal/Epidural Anesthesia or Puncture: Patients treated with ELIQUIS undergoing spinal/epidural anesthesia or puncture may develop an epidural or spinal hematoma which can result in long-term or permanent paralysis. The risk of these events may be increased by the postoperative use of indwelling epidural catheters or the concomitant use of medicinal products affecting hemostasis. Indwelling epidural or intrathecal catheters should not be removed earlier than 24 hours after the last administration of ELIQUIS. The next dose of ELIQUIS should not be administered earlier than 5 hours after the removal of the catheter. The risk may also be increased by traumatic or repeated epidural or spinal puncture. If traumatic puncture occurs, delay the administration of ELIQUIS for 48 hours. Monitor patients frequently and if neurological compromise is noted, urgent diagnosis and treatment is necessary. Physicians should consider the potential benefit versus the risk of neuraxial intervention in ELIQUIS patients. Prosthetic Heart Valves: The safety and efficacy of ELIQUIS have not been studied in patients with prosthetic heart valves and is not recommended in these patients. Acute PE in Hemodynamically Unstable Patients or Patients who Require Thrombolysis or Pulmonary Embolectomy: Initiation of ELIQUIS is not recommended as an alternative to unfractionated heparin for the initial treatment of patients with PE who present with hemodynamic instability or who may receive thrombolysis or pulmonary embolectomy. The most common and most serious adverse reactions reported with ELIQUIS were related to bleeding. ELIQUIS should be discontinued at least 48 hours prior to elective surgery or invasive procedures with a moderate or high risk of unacceptable or clinically significant bleeding. ELIQUIS should be discontinued at least 24 hours prior to elective surgery or invasive procedures with a low risk of bleeding or where the bleeding would be noncritical in location and easily controlled. Bridging anticoagulation during the 24 to 48 hours after stopping ELIQUIS and prior to the intervention is not generally required. ELIQUIS should be restarted after the surgical or other procedures as soon as adequate hemostasis has been established. Combined P-gp and Strong CYP3A4 Inhibitors: Inhibitors of P-glycoprotein (P-gp) and cytochrome P450 3A4 (CYP3A4) increase exposure to apixaban and increase the risk of bleeding. For patients receiving ELIQUIS doses of 5 mg or 10 mg twice daily, reduce the dose of ELIQUIS by 50% when ELIQUIS is coadministered with drugs that are combined P-gp and strong CYP3A4 inhibitors (e.g., ketoconazole, itraconazole, or ritonavir). In patients already taking 2.5 mg twice daily, avoid coadministration of ELIQUIS with combined P-gp and strong CYP3A4 inhibitors. Although clarithromycin is a combined P-gp and strong CYP3A4 inhibitor, pharmacokinetic data suggest that no dose adjustment is necessary with concomitant administration with ELIQUIS. Combined P-gp and Strong CYP3A4 Inducers: Avoid concomitant use of ELIQUIS with combined P-gp and strong CYP3A4 inducers (e.g., rifampin, carbamazepine, phenytoin, St. John’s wort) because such drugs will decrease exposure to apixaban. Anticoagulants and Antiplatelet Agents: Coadministration of antiplatelet agents, fibrinolytics, heparin, aspirin, and chronic NSAID use increases the risk of bleeding. APPRAISE-2, a placebo-controlled clinical trial of apixaban in high-risk post-acute coronary syndrome patients treated with aspirin or the combination of aspirin and clopidogrel, was terminated early due to a higher rate of bleeding with apixaban compared to placebo. There are no adequate and well-controlled studies of ELIQUIS in pregnant women. Treatment is likely to increase the risk of hemorrhage during pregnancy and delivery. ELIQUIS should be used during pregnancy only if the potential benefit outweighs the potential risk to the mother and fetus. Please see full Prescribing Information, including BOXED WARNINGS and Medication Guide, available at www.bms.com . In 2007, Pfizer and Bristol-Myers Squibb entered into a worldwide collaboration to develop and commercialize apixaban, an oral anticoagulant discovered by Bristol-Myers Squibb. This global alliance combines Bristol-Myers Squibb's long-standing strengths in cardiovascular drug development and commercialization with Pfizer’s global scale and expertise in this field. This press release contains “forward-looking statements” within the meaning of the Private Securities Litigation Reform Act of 1995 regarding the research, development and commercialization of pharmaceutical products. All statements that are not statements of historical facts are, or may be deemed to be, forward-looking statements. Such forward-looking statements are based on historical performance and current expectations and projections about our future financial results, goals, plans and objectives and involve inherent risks, assumptions and uncertainties, including internal or external factors that could delay, divert or change any of them in the next several years, and could cause our future financial results, goals, plans and objectives to differ materially from those expressed in, or implied by, the statements. These risks, assumptions, uncertainties and other factors include, among others, that Eliquis may not receive regulatory approval for the additional indication described in this release and, if approved, whether Eliquis for such additional indication described in this release will be commercially successful. No forward-looking statement can be guaranteed. Forward-looking statements in this press release should be evaluated together with the many uncertainties that affect Bristol-Myers Squibb’s business, particularly those identified in the cautionary factors discussion in Bristol-Myers Squibb’s Annual Report on Form 10-K for the year ended December 31, 2018, as updated by our subsequent Quarterly Reports on Form 10-Q, Current Reports on Form 8-K and other filings with the Securities and Exchange Commission. The forward-looking statements included in this document are made only as of the date of this document and except as otherwise required by federal securities law, Bristol-Myers Squibb undertakes no obligation to publicly update or revise any forward-looking statement, whether as a result of new information, future events, changed circumstances or otherwise. The information contained in this release is as of March 17, 2019. Pfizer assumes no obligation to update forward-looking statements contained in this release as the result of new information or future events or developments. This release contains forward-looking information about Eliquis (apixaban), including its potential benefits, that involves substantial risks and uncertainties that could cause actual results to differ materially from those expressed or implied by such statements. Risks and uncertainties include, among other things, the uncertainties inherent in research and development, including, without limitation, the ability to meet anticipated clinical endpoints, commencement and/or completion dates for our clinical trials, as well as the possibility of unfavorable clinical trial results, including the possibility of unfavorable new clinical data and further analyses of existing clinical data; decisions by regulatory authorities impacting labeling, manufacturing processes, safety and/or other matters that could affect the availability or commercial potential of Eliquis; and competitive developments. A further description of risks and uncertainties can be found in Pfizer’s Annual Report on Form 10-K for the fiscal year ended December 31, 2018 and in its subsequent reports on Form 10-Q, including in the sections thereof captioned “Risk Factors” and “Forward-Looking Information and Factors That May Affect Future Results”, as well as in its subsequent reports on Form 8-K, all of which are filed with the U.S. Securities and Exchange Commission and available at www.sec.gov and www.pfizer.com . Eliquis ® and the Eliquis logo are trademarks of Bristol-Myers Squibb Company.